Nearly one in two Londoners support capital punishment for murder during terrorist attacks, a poll has found. Overall, 49 percent of respondents in a YouGov survey for the Evening Standard were in favor of capital punishment for terrorists, compared to 42 percent against. The poll of 1,034 adults in London found overall more people in the UK’s capital support the death penalty than oppose it. The findings come in the wake of terror attacks in Paris, in which 17 people were killed. In 2013, soldier Lee Rigby was murdered in public in South London. His killers were jailed for life with no prospect of being released. In the poll, 55 percent of men believe terrorist killers should be executed, compared to 42 percent of women. Out f the respondents, more than a third of 18-24 year-olds (38 percent) were in favor of the death penalty. Of the older age groups, 54 percent of Londoners aged 40 and over supported the re-introduction of the death penalty, while of all 25 to 39-year-olds 44 percent supported the death penalty. Capital punishment was abolished in the UK in 1965. The Howard League for Penal Reform opposes on principle capital punishment. Chief executive Frances Crook told the Evening Standard: "Too much current penal and criminal justice policy continues to be based on the concept of vengeance and punishment disguised as justice." Tory MP Nick De Bois has called for a debate on the possibility of reinstating executions in the UK. 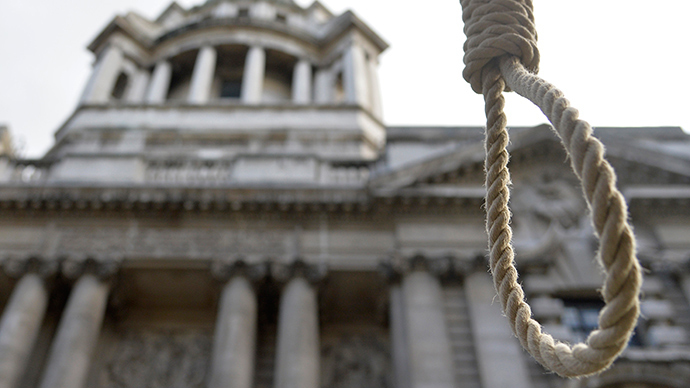 Under the European Convention on Human Rights, bringing back judicial executions would be unlawful in Britain. However, Home Secretary Theresa May has previously raised the possibility of the UK dropping the Act in favor of a new Bill of Rights.